Can you believe that it is the 40th anniversary of The Many Adventures of Winnie the Pooh? The original Winnie the Pooh movie is a classic to millions, and a huge part of Disney history…it deserves to be celebrated! 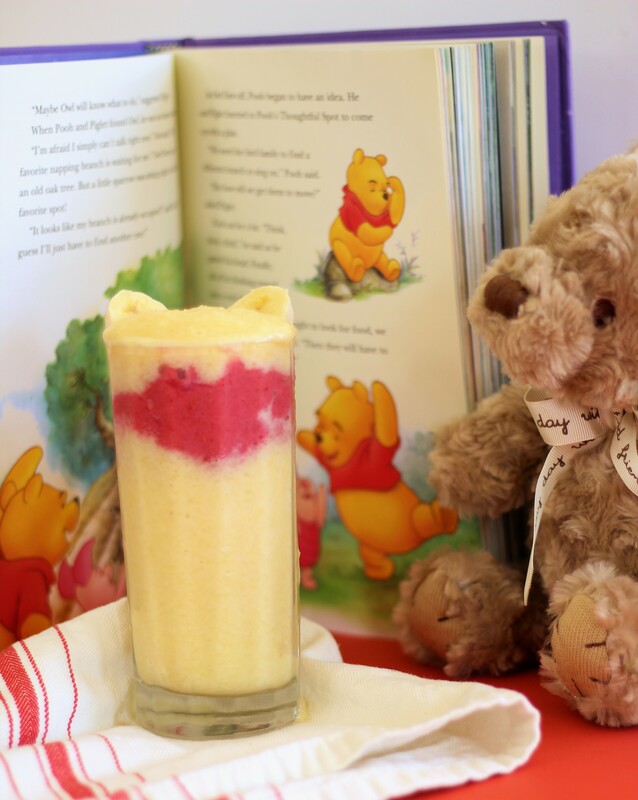 So why not have a Winnie the Pooh movie night, along with a tasty, tangy, and healthy vegan and gluten-free Winnie the Pooh smoothie? Blend the yellow and red portions of the smoothies separately. Then layer together to look like Winnie the Pooh! Blend the yellow smoothie ingredients and red smoothie ingredients separately. Then layer on top of one another.